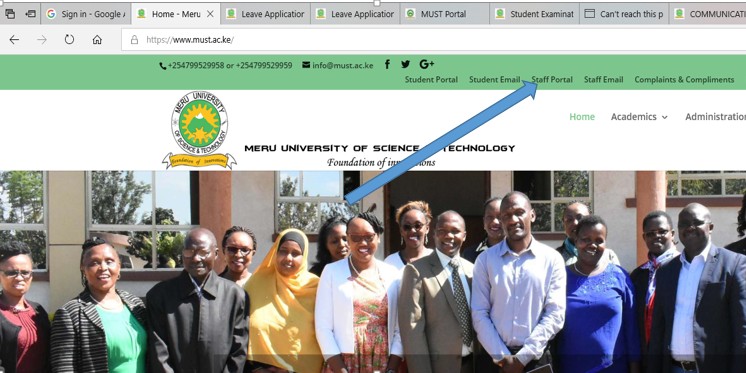 Click on Staff portal on the address bar of the website. 3. Log in using your PF number as the username and your private password. 4. 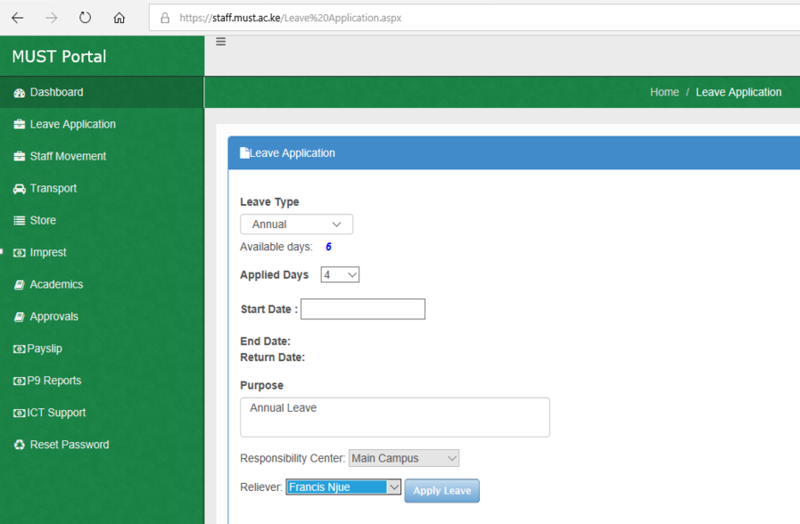 After a successful login, Click on the Leave Application button on the left side of the screen then click on New Leave Application. 5. 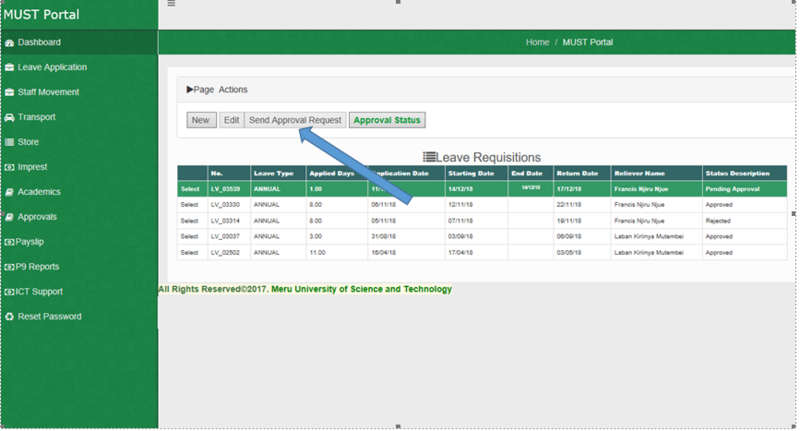 Fill the form that appears appropriately filling the Leave type, Number of days being applied for, start Date, The purpose of the leave and select the reliever in the dropdown list. 6. After that click on the Apply Leave button to create your leave. 7. A new window will come out where you are supposed to send the request for approval. Select your leave as shown below. 8. 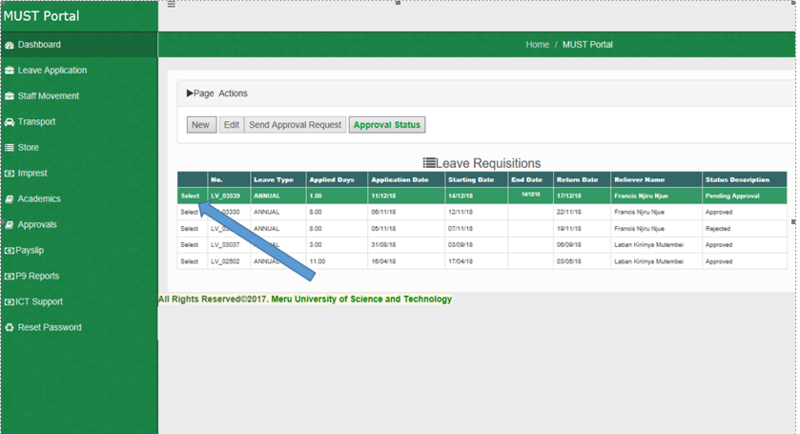 Click on the button Send Approval Request on top of the Leave requisition lines. 9. After it has been sent, the status description will change from pending to pending approval.